Balsam Fir Abies balsamea (L.)Mill. 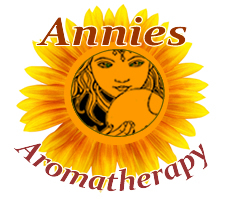 Preparation Methods & Dosage :The essential oil is distilled from the needles and used in aromatherapy. The leaves, twigs and bark can be used in herbal teas, and added to cough syrups. Fir needles are known for their disinfecting properties. Balsam fir oil has a frest green scent of a pine forest in the winter. The essential oil can be used to treat burns, colds, cough, cuts, muscle aches and pains, sore throat, and wounds. Fir needle oil can be added to many homemade cleaners and disinfectants. 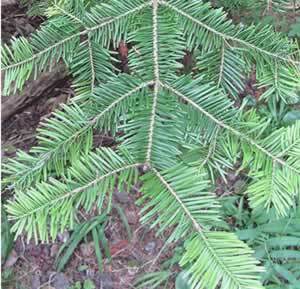 Balsam Fir Side Effects: Fir essential oil is irritating to the skin when applied undiluted. Etymology: The common name fir is usually only applied to members of the pine family the have pyramidal or conical shapes. Flat, needle-like leaves are attatched singulary in sprial, twisted bases appear in 2 horizontal rows. Distribution: Native to North America the tree thrives in the cold climates of eastern and central Canada and the northeastern United States (Minnesota east to Maine, ranging south in the Appalachian Mountains to West Virginia).